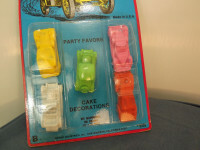 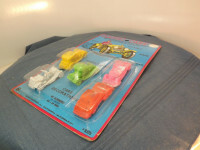 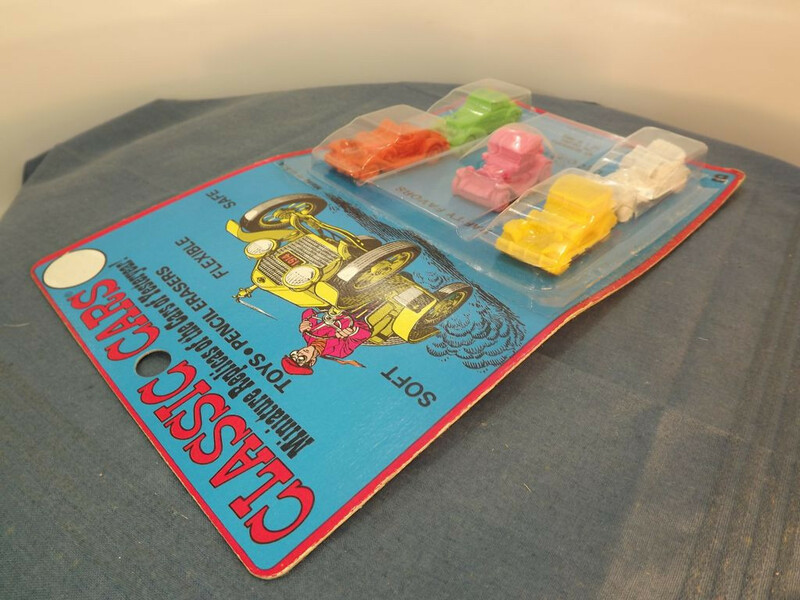 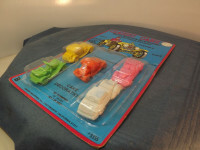 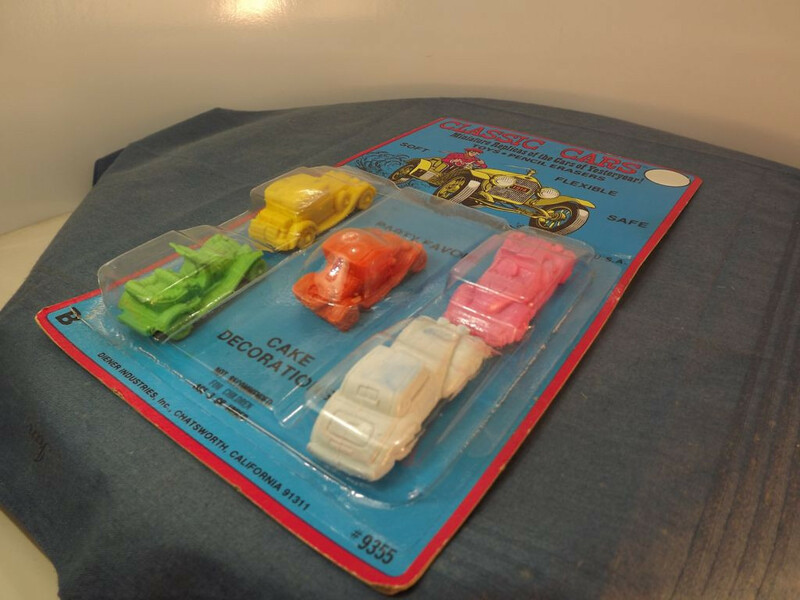 This set of five model cars carries the number 9355 and is referred to on the packaging as "Miniature Replicas of the Cars of Yesteryear!". 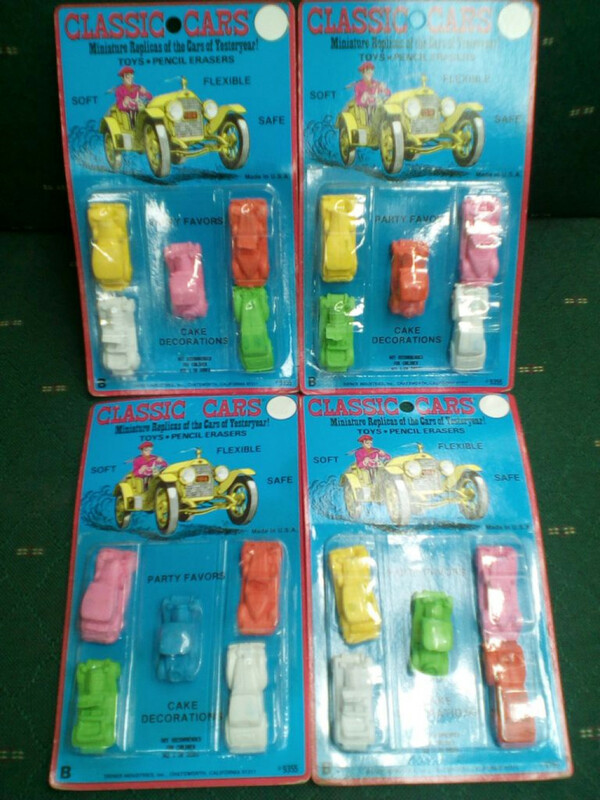 It contains 5 different vintage cars that appear to have been based on the Lesney Yesteryear range - 1909 Thomas Flyabout, 1930 Packard Victoria, 1931 Stutz Bearcat, 1938 Hispano Suiza and 1913 Cadillac. 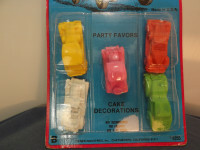 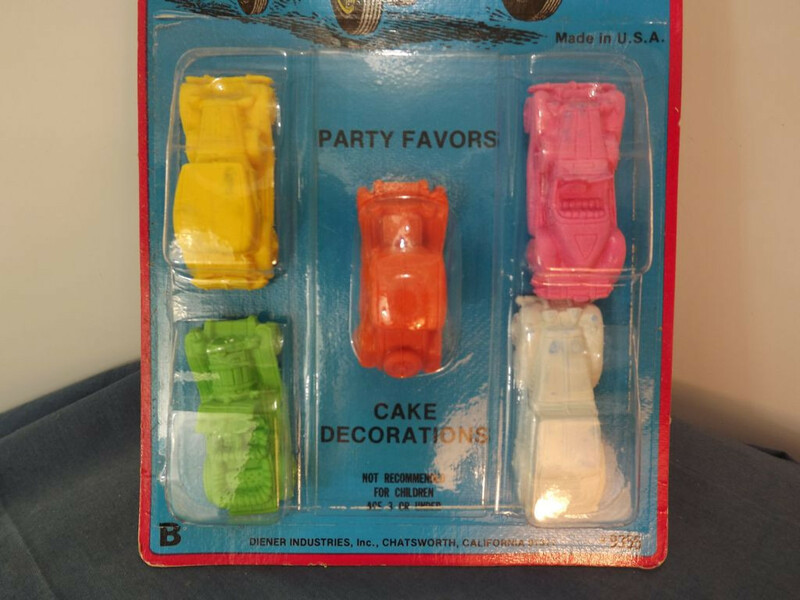 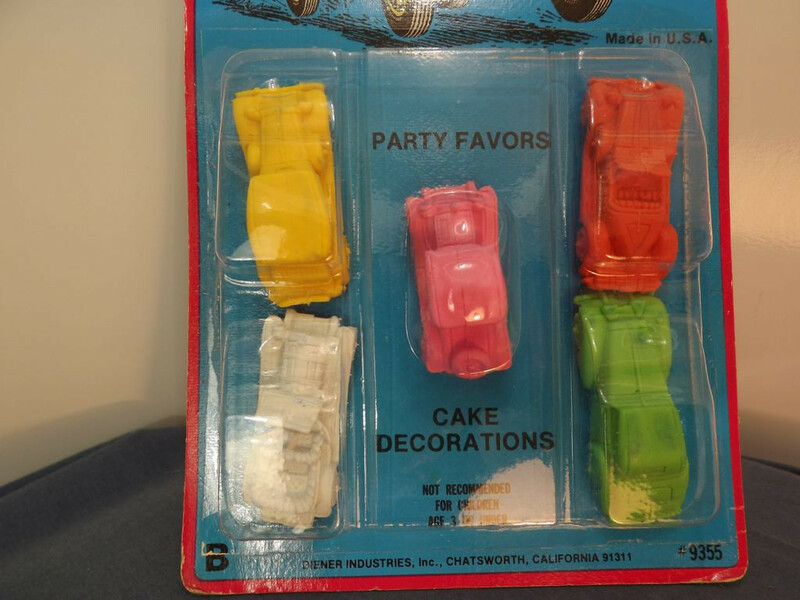 The models are made of a soft rubber and are described as "Pencil Erasers, Party Favors and Cake Decorations" on the pack. 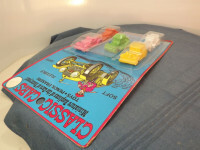 The cars are known to come in six different colours - blue, green, pink, orange, yellow, and white. 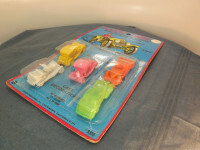 The models have no opening parts or glazing. 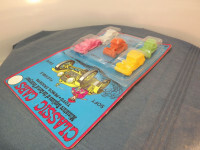 They are packed in a set of five on a single, card-backed bubble pack. It is not known when these items were issued.